Banking reforms being pushed through by the new Government will hit holiday-home prices the hardest, according to a recent article in the Spanish financial daily Cinco Días. The new Government has introduced reforms to bring down house prices and get banks lending again, but some experts say the measures will mainly hit the price of holiday-homes on the coast, where around 65pc of Spain’s unsold new homes are located. A mismatch between supply and demand means lower house prices might not stimulate the market. 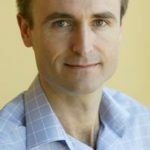 “Whilst the stock grows in holiday-home areas, demand is focused on big cities and provincial capitals where there is little excess and prices have already adjusted,” explains Oliver. So if the financial reforms put downward pressure on prices, it might only be felt on the coast, especially the least popular destinations with too much supply. Almost 65pc of Spain’s new housing glut of 800,000 new homes was built on the coast with holiday-home buyers in mind, mostly in Catalonia, the Balearics, the Valencian Region, Murcia and Andalucia, according to a recent report by CatalunyaCaixa, a savings bank. The Valencian Community has the biggest problem, with 210,000 unsold new homes, or 26% of the glut, followed by Andalucia with 137,000 and Catalonia with 107,000. The province with the biggest problem by far is Castellón, in the North of the Valencian Region, and home to the so-called Orange-blossom coast (Costa del Azahar), with around 114,000 empty new homes, compared to 57,000 in Barcelona and Alicante (Costa Blanca), 52,000 in Murcia, and 40,000 in Valencia province. That means Castellón, a relatively unheard of destination with a new airport that nobody yet flies to, is responsible for around 20pc of the entire Spanish glut of new holiday-homes. 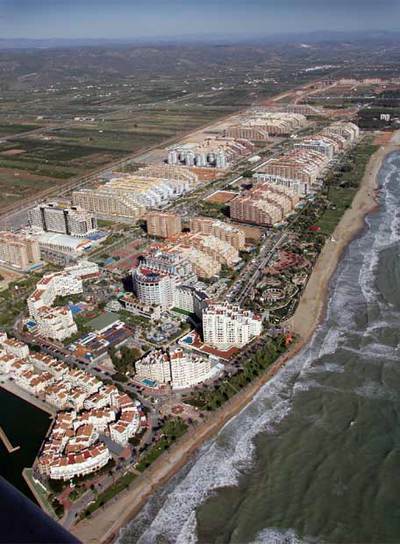 New developments in Castellón like Marina D’or development (pictured below) help explain why. The excess inventory of new homes in Malaga province, home to the Costa del Sol, is relatively minor in comparison. According to local builders there are less than 20,000 new homes on the market, most of which will have sold in the next couple of years. The Costa del Sol is a mature market with good access and diversified international demand where almost everything sells in due course. The Costa del Azhar is a different story. Who will buy 114,000 new holiday-homes there in any reasonable time-frame? What if prices get really cheap there? Will that help, or is there no demand at any price? I cannot see Marina d’Or selling other than to Spanish buyers – if at all. The same might be said of some of the developments south of Castellón (city) eg at Moncofa but there are plenty of properties north of the city (and Marina d’Or)which may interest foreign buyers once the airport is operational.